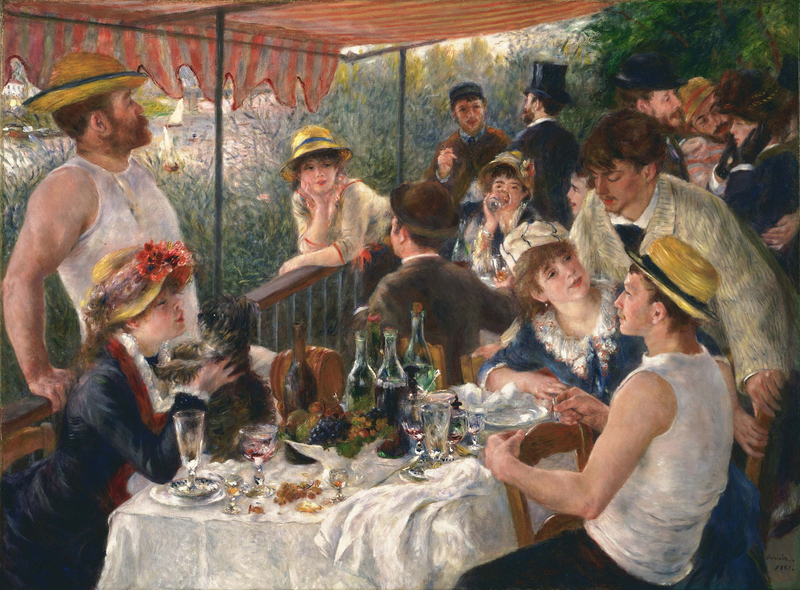 “Luncheon of the Boating Party” by Pierre-Auguste Renoir (1881). Tim Koch requests the pleasure of your company. On 12 March 2009, Göran Buckhorn started his first post on his new ‘blogspot’ site by writing ‘Against better judgment I have become a blogger.’ Ten years on from that tentative start, his counter-intuitive decision has resulted in 3,054 posts and 2,023,486 page views. Fortunately, Göran has not had to write all three thousand plus posts himself as he has attracted a regular band of correspondents from the rowing family around the world. Credit must also go to the silent partner at the HTBS Global Headquarters in Connecticut – Mrs. Ellen Buckhorn (‘Mrs B’). Not only did she provide the original impetus that made her reluctant husband put his obscure interest online, she also provided the technical knowledge. Today, she is still the HTBS IT Department. He’ll be racing in ‘Juniors’ before you know it. In the decade since Hear The Boat Sing started, an incalculable number of other blogs and websites have come and gone, most leaving no discernible trace, like the puddles of a novice eight. Strangely, a site mostly concerned with the more obscure aspects of a minority sport has survived and thrived, albeit more like a small cult rather than a mass movement. However, like all worthwhile achievements, this anniversary needs to be marked with a good lunch. Sadly, there is no central meeting point for HTBS’s worldwide readership, so I will be organising a ‘Decennial Luncheon’ in London. Any offers to hold a similar event elsewhere in the world? A souvenir menu from the first HTBS Lunch, this one marking the site’s fifth year. 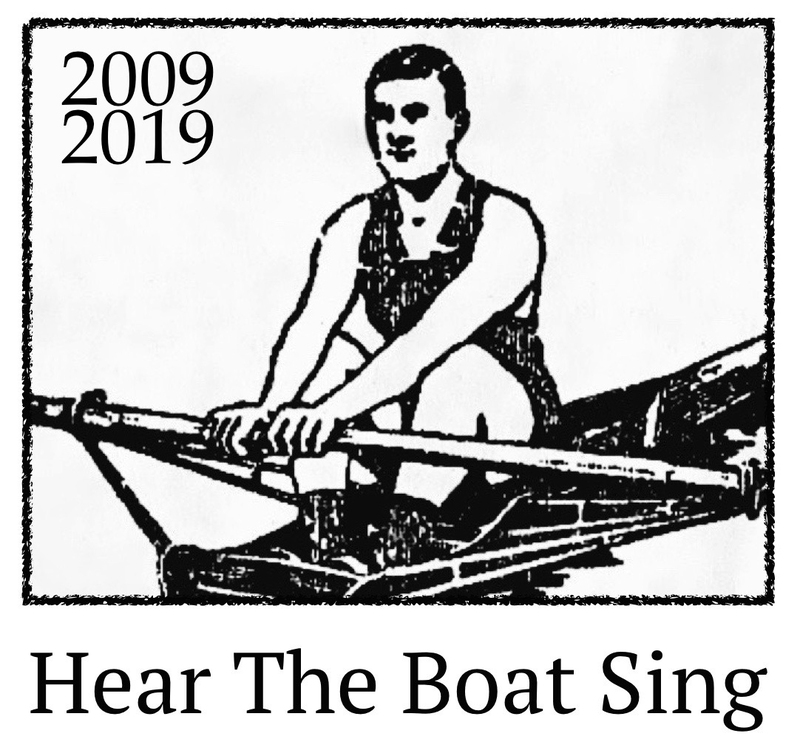 The 10th Anniversary lunch will be held at the Auriol Kensington Rowing Club, Hammersmith, London W6, on Saturday, 23 March 2019. Not only will good food, decent wine and like-minded company be on offer, there will also be some splendid aquatic entertainment. 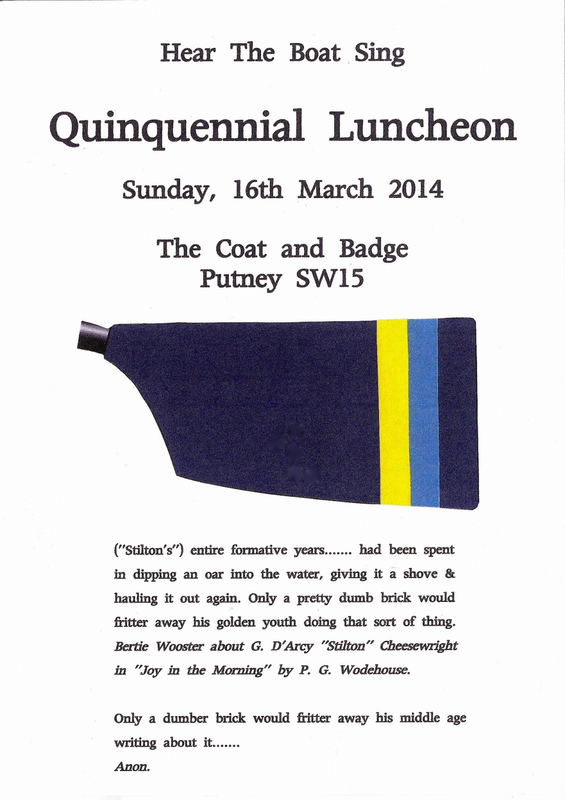 In the early afternoon, there will be three races for eights over the Putney to Mortlake course. As part of the Boat Race fixtures, the Oxford Women will race the University of London Women’s First Eight, and the Oxford men will race a Leander crew. Also, for the first time, the Oxford Men’s Lightweights will race the Cambridge Men’s Lightweights over the Tideway Championship Course. As those who know Auriol Kensington’s top floor will confirm, it has a clear view of the entire Hammersmith Bend, about a mile of the course, from Harrods to St Paul’s. The spectating experience is enhanced with a glass of something alcoholic at hand. The view from the top floor of Auriol Kensington (AK), where the HTBS Lunch will be held. 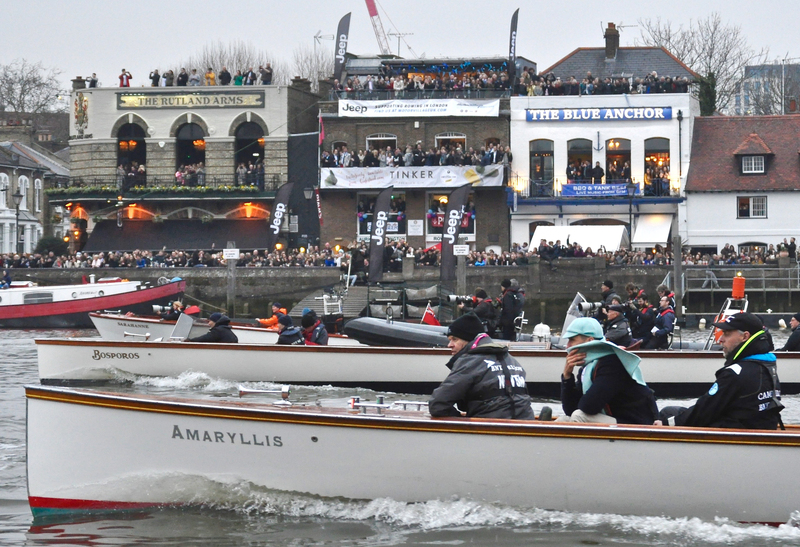 The scene outside AK will not be exactly like Boat Race Day 2018 shown here, but the club’s roof terrace (just above the ‘Jeep’ banner) will still offer great views of all the action on the river. Sadly I will be umpiring the NSW Greater Public Schools race that day. It is a major event on our local calendar. Will raise a cheer when I get home to you all! Interesting last photo, as we have photos of my dad in both Amaryllis and Bosporos. I wonder if those are the exact same boats he knew in the 1950s or are they newer boats with the same name. They are the same – Amaryllis was built in 1928 and Bosporus (owned by OUBC) in 1952. Great idea, Tim. I will be there in spirit (wishing it were in spirits as well)! Bon appetit! Şerefinize! This sounds like a grand party to come. It’s with great sadness, I write that I will not be able to attend this illustrious affair at AK. Knowing Tim and his social skills, I am sure that everyone present will walk away with happy memories of a swell luncheon. I promise to raise a glass at the time of the event and be with you all in spirit! Skål! 1928: AMARYLLIS built by Hobbs. Purchased by Cambridge University Boat Club, she saw service until the 1995 Regatta. In 1996 she was bought by Dr Walter Scott, and after undergoing restoration at Freebody’s yard is once again to be seen carrying the Umpire at Henley and supporters of the CUBC at the Boat Race. 1952: BOSPOROS, bult by Hobbs & Sons Ltd, of double diagonal mahogany. 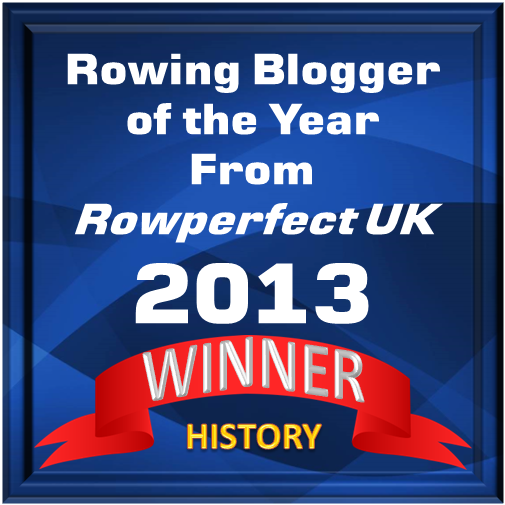 BOSPOROS was commissioned by Oxford University Boat Club [ OUBC ] as the third in their series of boats….. The launch was named after the Straits of Bosphorus, which is a Greek compound word meaning “Ox ford”. Unfortunately for OURCS there was already a boat of that named registered, so an adaptation of the spelling to a phonetic variant had to be devised. BOSPOROS carried the Umpires at Henley for many years, first on annual hire from OURCS and, thereafter, from 1980 to 1992 as the property of the Stewards themselves. After the 1992 Regatta the BOSPOROS was sold at auction to a Dutch buyer. When the vessel left the United Kingdom OURCS had the foresight to re-register the name which allowed the dark blues to use it again when they commissioned a new 50′ launch in 1994. Thank you for putting me right re Bosporus – interestingly having umpired from both Amarylis and Bosporus I would say Amarylis is wearing her years very well, though Bosporus is VERY fast! Regarding the matter of in-board petrol engines, if you follow the link on the Where Thames Smooth Waters Glide website to the report on the history of Henley launches you might be interested to see that exactly the same concern was raised in 1966 with exactly the same recommendation.